Grown up in the rural South of England, Knee grew up on a diet of punk – his sisters introduced bands like The Fall and Swell Maps to him, and the Mod movement based around The Jam before he embarked on a discovery journey through the wider independent music scene. Given his background, he was inspired by the time nestled between the post-movement, i.e. post-pink/mod et cetera, and pre-rave culture, which fostered a subculture within the indie scene and spawned a resurgence of the fashion, music and style of the 1960s. It was that pocket of time that inspired him to release his first book A Scene In Between. His second book The Bag I'm In: Underground Music and Fashion in Britain was the extension of his first endeavour: This time Knee focuses on the rise and fall of scenes, how they merge, burn out, serve as fertile ground for other scenes and so forth. A comprehensive tome on music sub-cultures in the United Kingdom from the 1960s through to the 1990s, emphasizing nuances between each sub-genre from punk via mod to psychobilly and what have you. Accompanied by an illustrated guide by Florence Bamberger, highlighting the more subtle details in the looks and outfits, and an introduction by Bobby Gillespie, it is more than a mere reference guide that should be found in the library of any alternative music and fashion aficionado. Untypical Girls: Styles and sounds of the transatlantic indie revolution is the telling name of Sam Knee tracing attitude, the musical emissions and again, the looks of female protagonists who shaped sub-cultures, as we know it and refused to stand behind their male counterparts. Starting with the punk roots in the old world, Knee transitions to more recent developments in the US, which culminates in elaborations on the riot gRRRl movement and grunge. A celebration of female energy, beautifully illustrated with early photos of ladies that would take on a dominant position in shaping the scenes they were in, e.g. Courtney Love, Kim Gordon and Bratmobile. 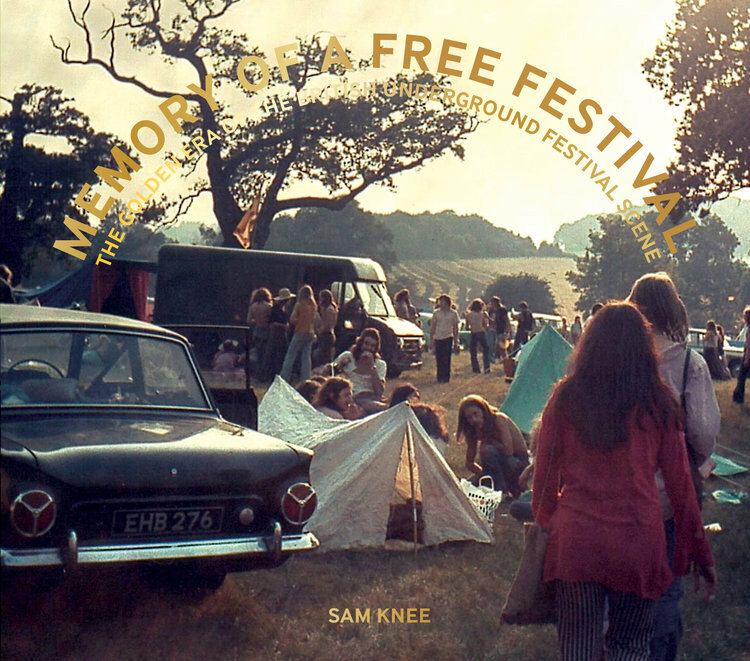 Memory of a Free Festival: Counterculture Festivals in Britain 1966-1986, has Knee’s focus firmly set on free music festivals that formed the backbone of subculture in the United Kingdom from the 1960s to the 1980s. Not limited to labels and categories, Knee starts off with jazz festivals, transitions via the anti-war movement and Rock against Racism and Jobs for a Change to punk and indie music in the 1980s, which serves as the canvas on which he describes the political developments that gave birth to those festivals as well as societal changes. Again, the myriad opulent illustrations make this a must-have book for anyone interest in the power and history of sub- and countercultures. All of the aforementioned books were published and are available from http://www.cicadabooks.co.uk along with other highly illustrated books for adults as well as children.